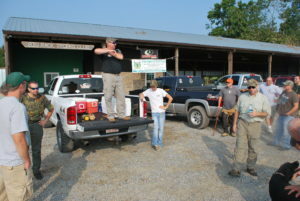 A safety briefing before the first dove hunt with Freedom Alliance. 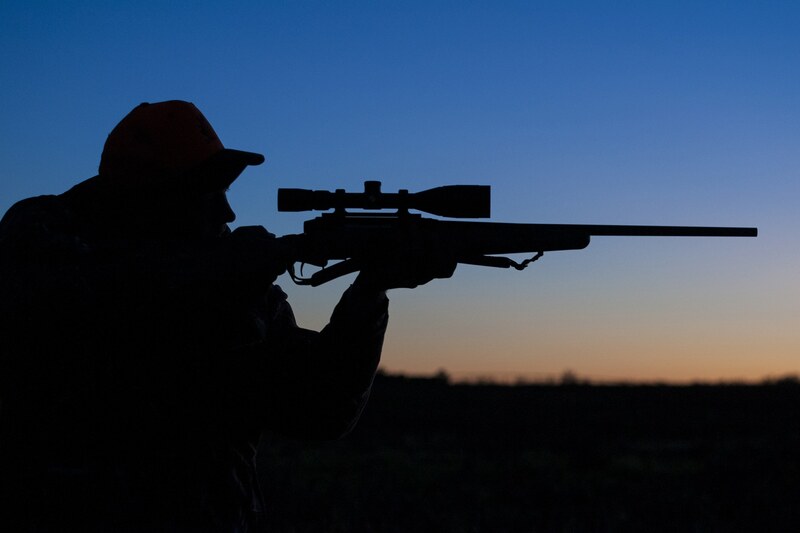 We wish the club the best as it continues to serve not only its members with a great hunting experience, but serving those who risk life and limb for our country. 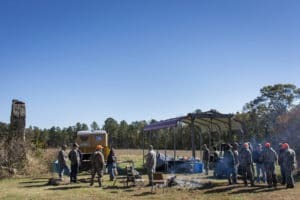 We are looking forward to making many more memories at Liberty Ranch Hunt Club with another dove hunt in September and their annual deer hunt around Veteran’s Day in November. 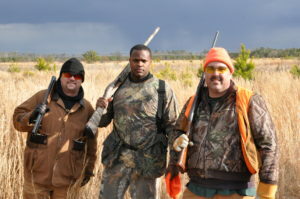 Greg (pictured right) poses with a Navy veteran (centered) and club member. 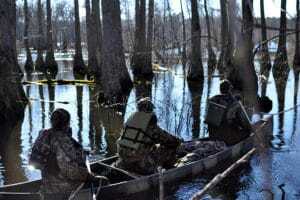 Veterans head out in the late afternoon with a club member for an evening duck hunt. Campfire camaraderie between club members and veterans.